If you’re in the market for a new bow case, then check out these three great picks. One is a hard case, one is a soft case, and one is a blend of the two — call it a hybrid. Depending on your needs, one of these models is sure to protect your favorite compound bow. Tested and certified to meet the U.S. Military’s Mil-STD-810G requirements for functionality and transportation, the Field Locker Compound Bow Case from Plano (800-226-9868; www.planomolding.com) features reinforced construction, watertight seals, double-density foam and industrial drawn-down latches. With arrow storage in the lid, the Field Locker case has reinforced padlock gates and easy-glide ball bearing wheels for secure and easy transportation. Plano’s crush-proof PillarLock system keeps the bow and pricy shafts safe from rough handling while the watertight seals keep gear safe from the elements. 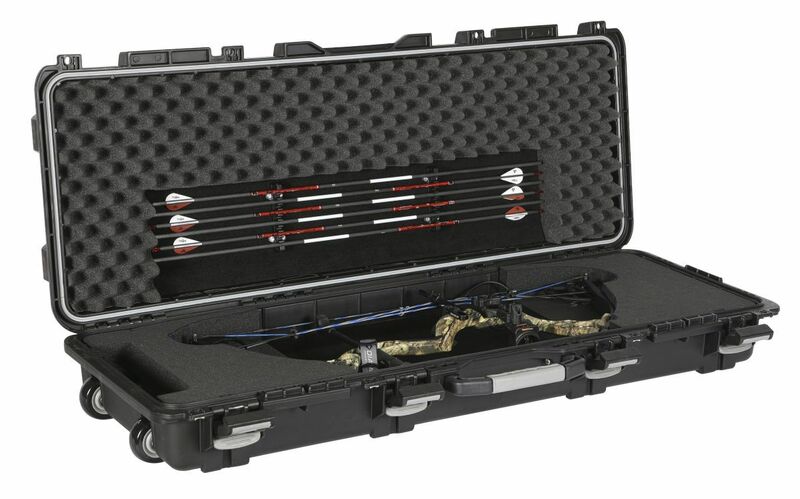 RUGID (833-777-8443; www.rugidgear.com) has introduced an all-new compound bow case designed to provide hard case protection with soft case versatility. The new case design utilizes a military-grade 500D PVC waterproof exterior and offers a fully waterproof, submersible version with zippered closure as well as a standard waterproof version with a weatherproof zipper that stands up to snow and rain. The soft case design allows the case to flex and form around the bow and allows rests, stabilizers and sights to remain attached. The interior offers a full inch of high-density padding around the entire surface, which is removable for cleaning or replacement. 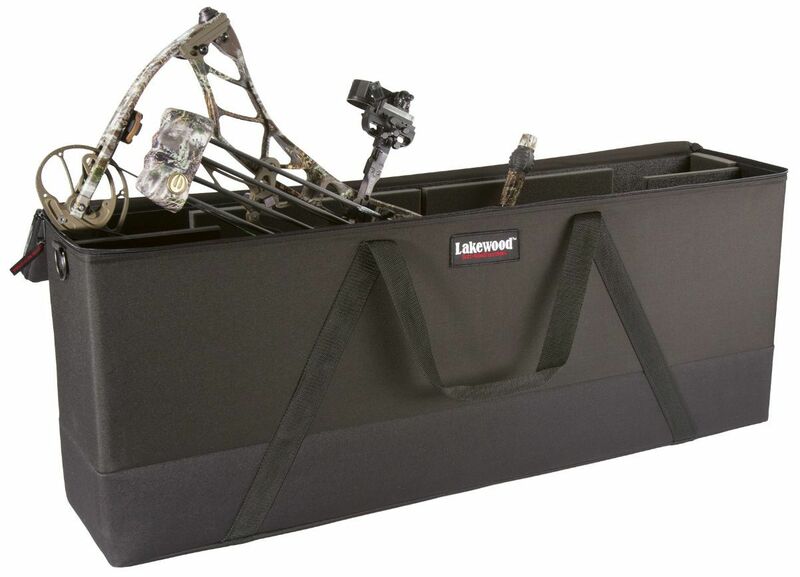 From Lakewood Products (800-872-8458; www.lakewoodproducts.com), the Bowfile case now features more room for a sight and stabilizer. By increasing the internal vertical capacity of the top-loading drop-in design, the Bowfile now accommodates an even wider array of modern sight mounts and longer stabilizers. The Bowfile features ballistic nylon construction that’s lighter than hard cases but sturdier than soft cases — call it a hybrid. The soft-sided hard case makes it a great back-of-the-truck bow case, but with TSA- and airline-compliant materials and construction, it’s a handy companion for any travel.